… a little knowledge of Greek made one in those days a paragon of learning, while if one joined to it a smattering of Hebrew such an accumulation was almost superhuman, and, indeed, it was sometimes hinted, betrayed Satanic influence! These days it’s equally surprising to find any clerics who have any facility at all in the Biblical languages. Proving, as though proof were needed, that there is nothing new under the sun. Not even ignorant clergy. The Kansas City chapter of the non-denominational Global Evangelism Missions Board announced the largest volume of interest for a single short-term missions trip ever Friday, as over 12,000 selfless individuals volunteered for its upcoming missions trip to Hawaii. According to Campbell, only thirty spots were available on the trip, and volunteers will be selected at random to be considered for the evangelism and missions trip to the tropical island paradise. It’s interesting to watch youth groups and church groups excitedly talk about their ‘mission’ trips when these are simply church funded vacations. An hour a day devoted to actual missions followed by 16 hours of tourist stuff and instagram selfies is hardly what the early Church would consider an evangelistic effort. Q: What do you call a Barthian Universalist? A: Someone who wants to see people dragged kicking and screaming into heaven, but who also has a ‘special friend’ on the side, because, you know, there’s no such thing as sin really. 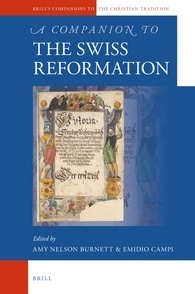 As several of the essays in this volume make clear, the relationship of the Genevan city-republic and church to the Swiss Confederation was substantial and significant, but Geneva cannot be regarded as central to the Swiss Reformation, let alone as paradigmatic for it. Even more importantly, the Reformation came relatively late to Geneva, and its establishment and course in that city were strongly influenced by both earlier and concurrent developments in the Swiss Confederation. In order to understand the Genevan Reformation, then, it is necessary to be familiar with the course of the broader Reformation in the neighboring Swiss lands. Understanding is on exhibit herein! I already am transfixed by this collection. I can’t put it down. Back to it! Back to more of this! Fascinating stuff from last November, re-aired today because her book is out in paperback next week. Historian Mary Beard has spent her career working through the texts and source materials of ancient Rome. She has written several books on the subject — including her most recent work, SPQR: A History of Ancient Rome — but she doesn’t feel like she’s close to being done with the topic. The most decorated Olympian of all time, American swimmer Michael Phelps, has become a bona fide Christian icon since extending one finger skyward after he won Gold in the Men’s 200-Meter Butterfly event earlier this week, sources confirmed Friday. Narrowly capturing the win in the Tuesday night race, he immediately put his index finger in the air, held it there, and even wiggled it back and forth for emphasis, as if to say, “Don’t miss this finger I am pointing toward Heaven. I do not deserve the glory for this win—Almighty God does!” The reaction from Christian social media was immediate and widespread. “Michael Phelps winning hearts and minds. Someone get him in the pulpit!” enthused another Twitter user, while one Facebook user posted a 700-word discourse calling for more unashamed believers in the same inspirational, evangelical vein as the legendary swimmer. At publishing time, sources reported that Phelps had held up four fingers after a successive win on Thursday night, which was being seen as confirmation of his sainthood, as it was a clear attempt to one-up his previous shout-out to God by pointing not just his index finger, but his entire hand heavenward, in a remarkable gesture of thanks and reverence to his Creator. – John Calvin: Dr. R. Scott Clark gives a brief history of French Reformer, John Calvin. Let’s see if they know what they’re talking about. Not so much on Zwingli. Zwingli wasn’t ‘from’ Zurich and he wasn’t heavily influenced by Luther. But our presenter gets Zwingli’s intentions correct and he gets Zwingli’s serving as a Chaplain at Kappel right. I’d give it a B- were it a paper on Zwingli. The video on Melanchthon is better. He’s got the Loci right and he understands Melanchthon’s aims well enough. He’d get an A. And an A on Calvin (although it’s not surprising that a Presby seminary Prof would like Calvin well enough to learn him thoroughly). And finally, the Beza video… wherein the presenter says that Lausanne is ‘outside’ Geneva… well, yes… miles and miles and miles outside. In the same way that New York City is outside Philadelphia. This one gets Beza generally right but doesn’t really say much in detail. And its presenter needs a re-look at the geography of western Switzerland. C is what this one gets.